Weeks ago I had grand plans for Halloween decorations. I thought it was high time we put some of our strange medical props to use and make our place into a creepy mad science lab. But of course, I got too distracted chasing Endeavour around town this weekend to really get things together. We’ll see what kind of magic I can pull of, but for now I’ve just tackled a couple little projects. I found the pumpkin and candy corn fabric weeks ago and sewed it into a festive table cloth. 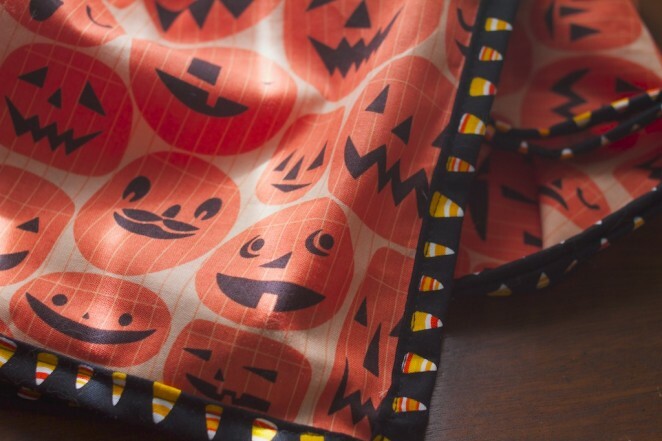 It works well since we have a lot of pumpkins around. Since my zombie dishcloth has seen better days, I stitched up a brand new werewolf towel. Had I remembered my science lab theme, I would have made a heart or some organs, but in the end I like the werewolf quite a bit. 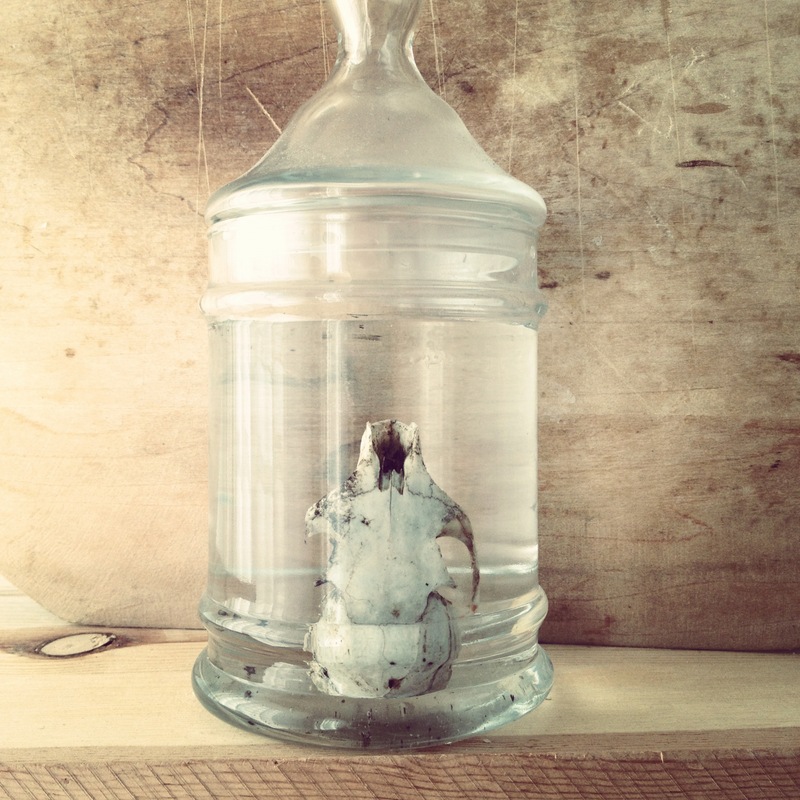 For the authentic touch, I have this little squirrel skull that we found on a trail. It’s my first time cleaning a skull and it is wonderful how much nature can do on it’s own (thank you ants and bacteria). I have a few larger bird bones but they’re still a little too fleshy and gross to bring inside and I don’t think my neighbors would appreciate me cleaning them in our common areas. It feels like October is nearly gone already and we’ve only had a single cool day. I wish time would slow down a bit more. Everything feels like it is flying by at lightning speed and I don’t want to miss it. and ps. I love the wolfman you did! We just got our Halloween decor out tonight. Went to the pumpkin patch for our pumpkins this past Friday. It’s time. 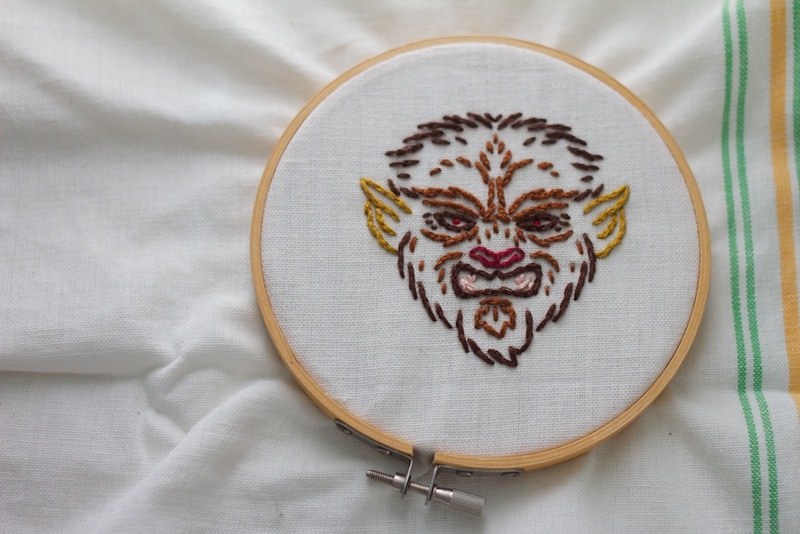 I love your werewolf embroidery. You are quite the talented lady.